Last week, I introduced you to my mother, a wonderful woman who is the consummate "Lady". Today's shop reminded me of her mother and I'd love a chance to share with you a little about my grandmother today. My grandmother came from a different era entirely than either myself or my mother, one that in some ways was much simpler. My grandmother was of the era where they wore hats and white gloves to go shopping, your best dress to church on Sunday and cocktail dresses with elegant lines with your hair up in a French twist for drinks in town. She did all of these things. She also worked hard as an events coordinator for Boeing executives, never once allowed herself to be seen in a state of dishabille and had a sense of decorum that was unflappable. Today's shop reminded me of her because I could see her shopping there. In fact, I could see her buying them out in order to have the perfect "accent" to any number of her beautiful outfits (and believe me, she had some gorgeous clothes and ensembles). 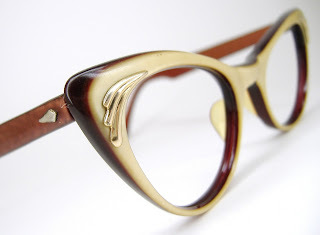 Vintage 50's Eyewear is filled with rhinestone cat eye vintage retro eyeglasses and sunglasses, France eyewear, Shuron eyeglasses, G-man frames, vintage art craft, Ray Ban sunglasses and more. My grandmother would have absolutely LOVED this shop. Whether you're looking for a blast from the past such as 1950s eyeglasses, psychedelic 1960s hippie style, the disco 70S fashions or and the oh so cool retro 80s sunglasses inspired by big hair bands and the Blue Brothers, this is the shop for you. They even have some pieces perfect for today's emo and nerd-wear fashion styles! I love this shop, and if you're in to retro fashion or know someone who does, you'll love it too so don't miss taking a peek at Vintage 50's Eyewear on Etsy. TO VISIT VINTAGE50SEYEWEAR ON ETSY, YOU CAN CLICK THE PICTURES ABOVE OR, IF YOU'D RATHER, CLICK RIGHT HERE! Oh my God I love this shop!! Great find. Thanks for this post! Great shop! I"ll pass on the info to my niece too who's crazy into retro! 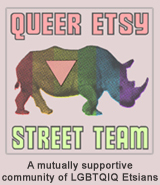 Etsy has everything, doesn't it? Stopping by from SITS. 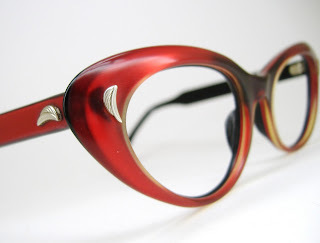 Oh my, I've been thinking about getting reading glasses, would I ever love to have frames like these! Awesome! Thanks for sharing. I need new frames. Happy SITS Saturday Sharefest. Have a wonderful weekend!